Are you up for some WWOOFing? No, we’re not talking dog, WWOOFing is the responsible tourism practice where volunteers offer their time to work on organic farms around the world in exchange for food and board. WWOOFing is a great way to learn about and experience organic lifestyles while you travel, working on a variety of farms and small-holdings of all shapes and sizes throughout the world. 2. Where can I work? 3. What type of work will I be doing? 4. How many hours do I have to work each day? 5. Do I get paid? If so how much, how and when? 7. How long is the contract? Is it year-round? 9. What will I need to take with me? 10. Is there internet access? WWOOF was started back in 1971 when Sue Coppard, saw an opportunity for city-dwellers like herself, to access the countryside and support local farmers. WWOOF originally stood for “Working Weekends On Organic Farms” but was soon changed to “Willing Workers On Organic Farms”. The word work was later removed and the current acronym, “World Wide Opportunities On Organic Farms” was born. WWOOFing is a great way to learn about and experience organic lifestyles while you travel, working on a variety of farms and smallholdings of all shapes and sizes throughout the world. The idea is that for a few unpaid hours work a day you are provided with free food and board. It is also a great way to learn more about the cultures and lifestyles of the country you are visiting as many farms are hosted by local families and you will get a great insight into local farming traditions, both old and new. You have a choice of thousands of hosts and you can you can check out each one before you decide if they’re right for you. A fee is required to register and become a WWOOF member in whichever country you are planning to visit. The price will obviously vary from country to country. All countries offer either a book or online memberships where hosts can be viewed and contacted. Once you become a member you will have access to information about the farm including contact details, location, size of property, type of work you will be doing, amount of hours you will be expected to work and so on. Currently you can choose from a list of nearly 100 countries in the WWOOF group which although are not connected, all operate on the same principle and moral of placing volunteers with host farmers. Some of the countries that do not have a WWOOF network have a group of hosts that are known as ‘dependants’. There are currently around 45 countries that have dependants (hosts) on around 200 farms. You could be doing anything from planting native trees to herding cattle, getting ankle deep in organic cow poo or picking organic fruits to building a chicken coop. The list is endless and the choice of location is yours from smallholdings to 1000+ acre farms. If you’re looking for a specific experience, simply filter your search on the official site. That’s right, you can search to work with llamas or harvesting grapes! This is farm life so be prepared to get down and dirty. You will be asked to help with any of the following tasks – sowing seed, making compost, gardening, planting, cutting wood, weeding, harvesting, packing, milking, feeding, fencing, making mud-bricks, wine making, cheese making, bread making and much more. You will normally be expected to work between 4 and 6 hours a day, 5-6 days a week. You can arrange working hours beforehand by contacting hosts. Remember this is an exchange based on fair-play. Don’t expect to be lounging around but similarly, if you feel like you are working too much, tell your host. You will most likely be living with your host and they will expect you to join in and cooperate with day to day activities like washing the dishes or helping prepare meals. This is your opportunity to give your host a glimpse into your life, why not cook them a traditional meal from your country! Generally, WWOOFing is volunteering in return for food and accommodation but some hosts will offer paid work. If so, arrange a rate beforehand and state whether it is paid by the hour or by the job completion. It’s also worth asking your hosts if they know of any paid work in the surrounding farms/areas. The obvious benefits are the savings you will gain from free accommodation and food. These savings can be put to good use to travel elsewhere and to spoil yourself with the occasionable luxury after spending a week or so on a farm! You will also gain knowledge from living and working in sustainable organic environments and spending time with local people learning traditional farming methods. You will meet some great, like-minded people too, locals and travelers alike and will probably end up spending some future adventures with your new friends at your next WWOOF destination. The length of your stay at the farm is negotiated directly between you and your host. Statistically, most WWOOFers stay between one and two weeks but if you are short on time you may be able to arrange a stay as short as two days. Contracts are agreeable between you and the host. A lot of hosts will have a minimum/maximum time they wish you to stay and they will state this in their details. Generally contracts are between a few days and a few weeks, however, a lot of hosts are flexible and may give you longer contracts or even paid work. Some farms are very dependent on seasonality and therefore only available at certain times of the year. 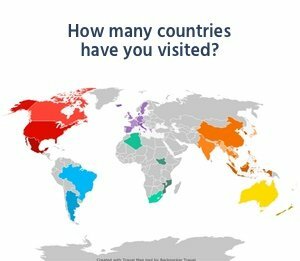 Once you are registered in your preferred country you will have access to all of the hosts and it’s then up to you decide where you want to go. It is recommended to book with a host at least a month in advance. Some hosts are very popular so you might need to be patient and flexible with your dates. The databases have all the contact details of each host and a brief description of their property and what they do. Emailing or calling is the usual method of contact, just be sure to have your membership number at hand when chatting to them. Apart from what’s in your backpack, check with your host for anything specific you might need, like a sleeping bag or gardening gloves and boots. Towels and toiletries may or may not be provided but most of the time you will have a decent bed with blankets. You will be fed and have a roof over your head but anything specific that you want, you need to bring with you as you may not be able to get to a store for a while. It is also a good suggestion to bring some pictures or local goods from home. This will allow your host to learn a bit more about you and your life back home. Internet access will depend solely on the host and their location. They will be able to tell you whether they have internet access before you arrive but seriously, unplug from the grid for a while. This will ensure a much more authentic experience and interaction with you host. WWOOFing is an amazing experience and a great way to exchange knowledge between both hosts and volunteers. Each side can benefit but there are a few things to be aware of. Always make sure that you are clear in advance on what is expected of you and what you expect in return from the host. Agree the type of work, working hours, the number of days a week you are required to work, length of contract and what the host is supplying in return – type of food, accommodation etc. And make sure you have enough money to at least get yourself off the farm if you need to. For the safety and security of WWOOFers each host is screened but it is still worth doing your own screening. It has been known for some hosts to charge volunteers for accommodation. This is frowned upon by the WWOOF community as the object is to work for free. There are a few horror stories out there about people having bad WWOOF experiences but the good far outweigh the bad as with any travel experiences. Just use your common sense and listen to what the hosts tell you and you will be fine.